Ranveer won't pair up with Salman in Dhoom 4 due to stinging comment during Sultan? The actor doesn’t share a great relationship with Salman Khan, who’s also rumoured to be under consideration for the project. Salman Khan and Ranveer Singh. 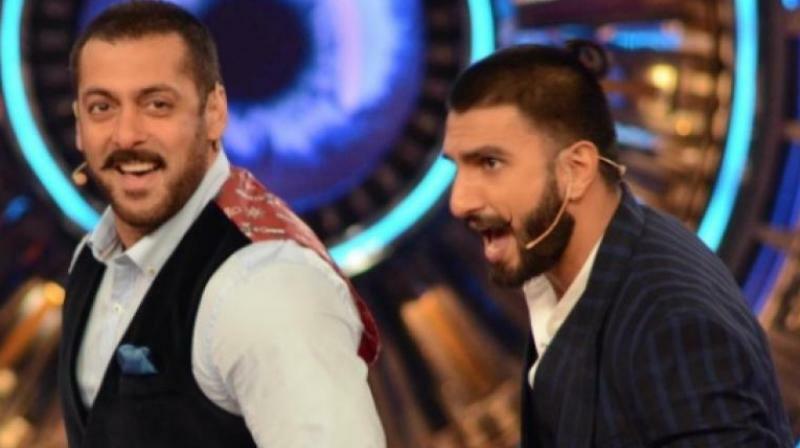 There is a rumour doing the rounds that Ranveer Singh and Salman Khan will be seen together, for the first time, in the fourth instalment of Yash Raj Films’ Dhoom franchise. However, a source from the production house says that Ranveer will not be part of the film. Another industry source says that the two actors have a history that prevents them from wanting to work together, apart from date issues. “Ranveer and Salman Khan do not have a good rapport, to begin with. While Ranveer is a gregarious person, Salman is not too keen on working with him after the Sultan episode,” says the source. You may remember that when Ranveer Singh broke into a dance at a screening of Sultan in Paris, Salman commented, “Did he go to see the film or to dance? I want to break a chair on his head!” So it’s not surprising that the two don’t share a great relationship. And while it’s clear that they will not be working together any time soon, it’s not clear if Salman will be a part of Dhoom 4, or if that’s also a figment of someone’s imagination.